Cambridge IGCSE is a popular international qualification English Exam for 14 to 16-year-old students. It is recognized worldwide by business and institutions of learning, having been developed over 25 years ago. 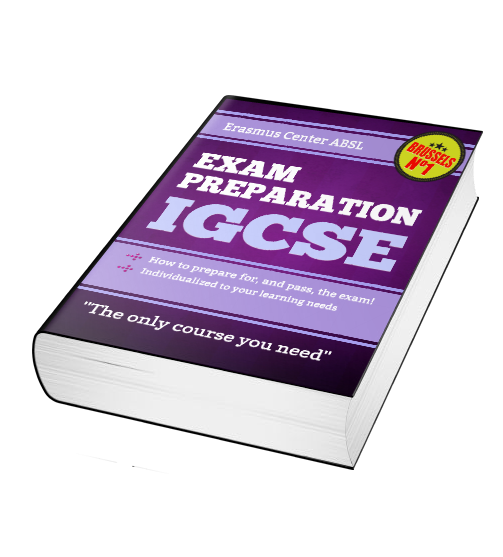 The IGCSE Course is a great way for students to learn the skills needed to succeed on the IGCSE exam. The course has been designed to give the student the skills they need to improve their score in a short amount of time. The course uses authentic test materials so students can practice and prepare for all the sections of the test while gaining confidence in the exam itself. The Erasmus Center teachers will create an individual plan to guide you thru the key portions of the exam. Our IGCSE preparation is individualized to your learning needs and is based on a free diagnostic exam and our Educational Consultant’s assessment. The Erasmus Center offers you a free diagnostic test so we can best understand your level of understanding and develop a personalized plan for your tutoring. Tests are given weekly. Contact us and schedule your test today.